London-based communications agency Portland Health has appointed Jamie Hewitt as an account director. He joins the firm from the National Rheumatoid Arthritis Society, where he was its head of government affairs, leading the policy and public affairs functions. Health partner Dr Jane Brearley said: “Jamie's skills will add a further dimension to Portland's health offer. His specific knowledge of healthcare charities and the challenges they face will further strengthen our ability to work productively with this important group of stakeholders. 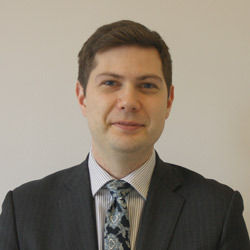 Hewitt started his career working in a political consultancy before moving into public affairs roles for a non-departmental public body and two charities. During his time at the National Rheumatoid Arthritis Society, Hewitt ran UK campaigns to increase access to medicines, raise disease awareness and influence legislation on health, social care and welfare reform.